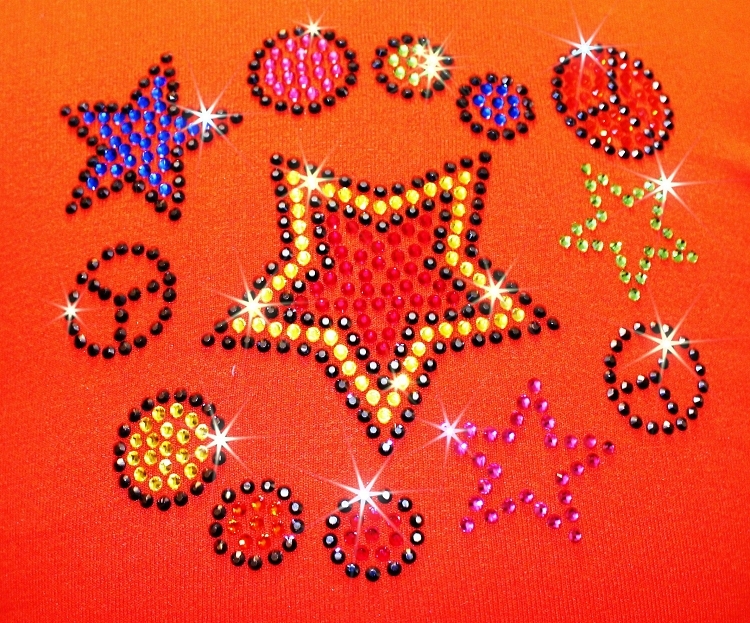 Vibrant orange ice skating dress with "Peace & Stars" rhinestones designs. 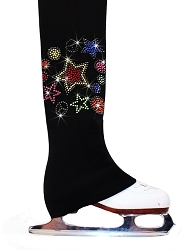 Stay warm and look neat during competition, test or just everyday practice in sparkly and colorful figure skating dress from Ice Fire. 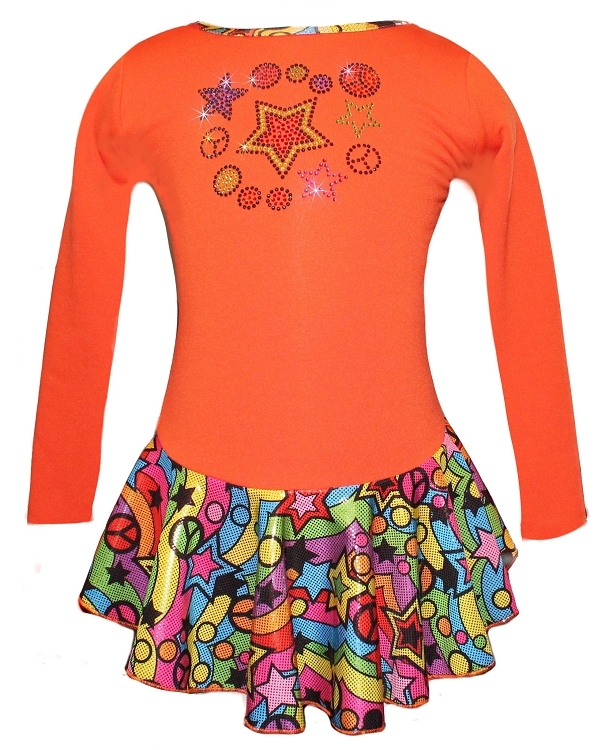 This dress feature seven bright rhinestones colors and create perfect match with twirling skirt and hair scrunchy . 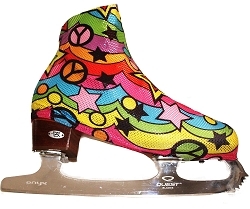 Wear it together with ice skating pants from our collection and achieve best result!